The Terra XL by MWE is truly the king of sliding door floor rollers. The XL construction, engineered by the system Terra M, was especially designed and constructed for this purpose. In this way, door leaves up to 400 kg (875 lbs) can be moved. for the door elements. Terra M is “two-faced”: Whereas one side features function, the other side conceals it, so that an individual ambience can be created in two adjacent rooms. The runner rail can be either screwed or glued to the floor. Turnstyle Designs are established as one of the world's foremost producers of design led architectural hardware. Using classic materials to create contemporary designs, Turnstyle handles can be found on some of the world’s most prestigious projects including private homes, yachts, hotels and restaurants. 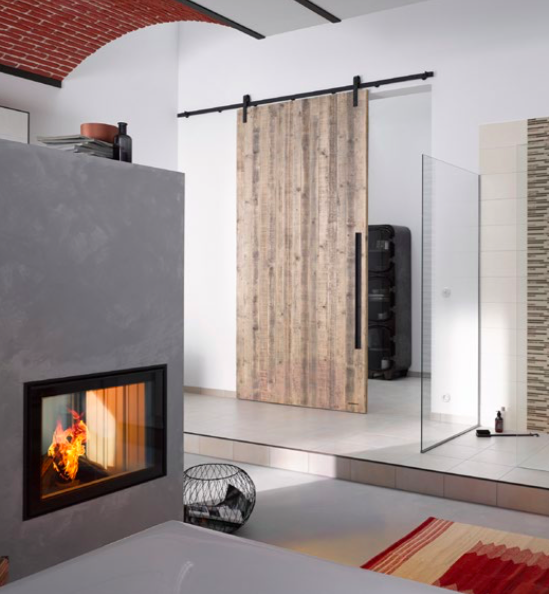 MWE's newest series is a bold move by the Germany manufacturers to attract more consumers looking for a more country or rustic look for their barn door hardware. Fully in accordance with the motto "Back to the roots“, only we can offer new “old barn door hardware” that have all the positive properties of the modern age. Whilst heavy doors in olden times were cumbersome and pure usefulness was at the forefront, today we are combining this raw and simultaneously very unusual look with the finest technology, outstanding quality and the simplest handling. MWE is a beautiful and well engineered ladder system. Below are the steps we use to build our clients a one of a kind system. All MWE Ladders made from Stainless Steel and come in either a 600-grit satin or polished finish. 2. Determine ladder head and functionality. 3. Determine the rungs and steps.